Official Viwawa Blog: Just got new posters!! Yay! 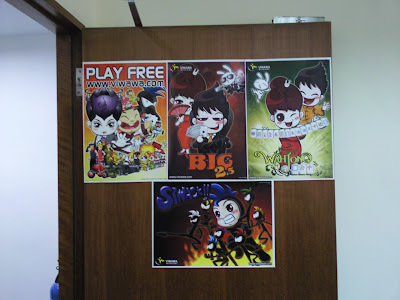 We just got some new Viwawa Posters prepared for the Inter-school E-gaming Challange 2009, to be held in Funan DigitaLife Mall (Singapore) from 14th March 2009, Saturday, to 19th March 2009, Thursday. Come visit us during the week, participate in our hourly challenges and get to take some of the posters (and maybe more) home with you!